Book a wheelchair taxi. We would be happy to help you with transport if you use a wheelchair, so that your disability doesn’t keep you from being mobile. 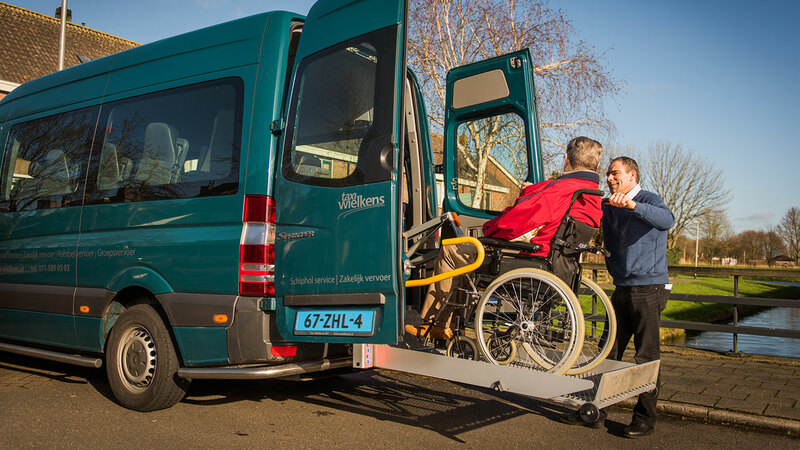 Our luxury wheelchair buses can drive you to any destination, at any time. 7 days a week. Our experienced chauffeurs are professionals in helping you get to your destination. Our transport is comfortable and is equipped in accordance with VVR standards (Guideline for Safe Transport of Wheelchair Users). Book your wheelchair taxi at Taxi Wielkens: easy and fast. Enter your details here and click Book. You will receive a confirmation of your booking so that you know we will pick you up at the agreed time. For more information, read the tutorial on How To Book a Taxi or Frequently Asked Questions. Unfortunately, this service is not yet available for your mobile telephone, however, it can be accessed on your desktop, laptop and tablet.